of the classic coat rack. " 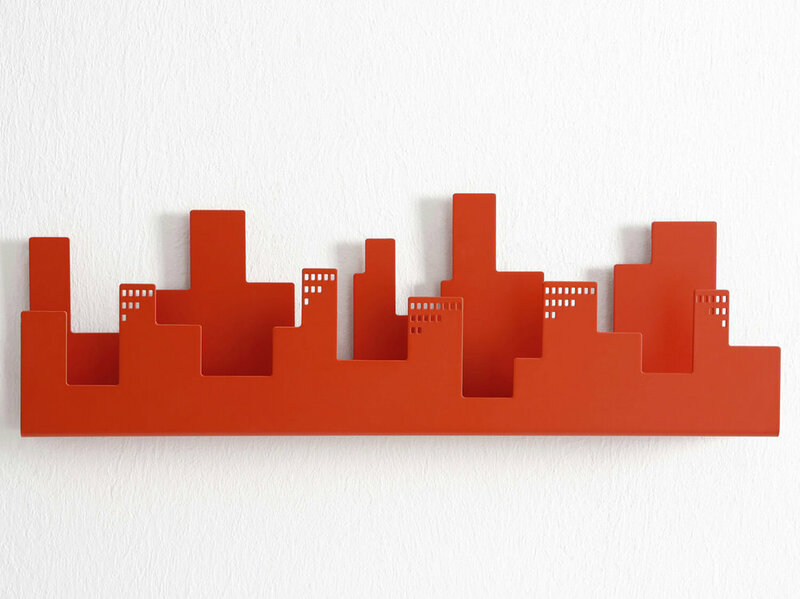 The coat rack, reimagined and flled with fun. 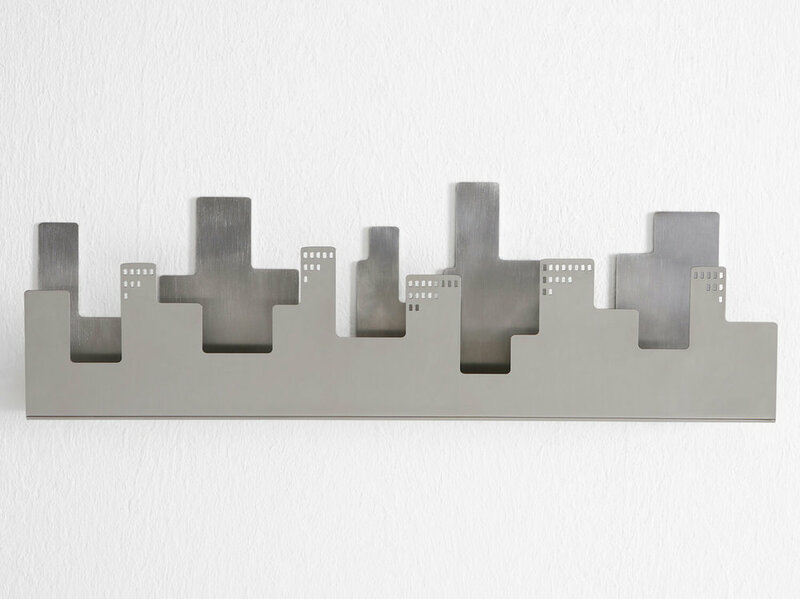 The Belleville’s three-dimensional skyline is created by bending laser-cut steel and provides a place to drop off your mail or clear your pockets as well as hang up your things. 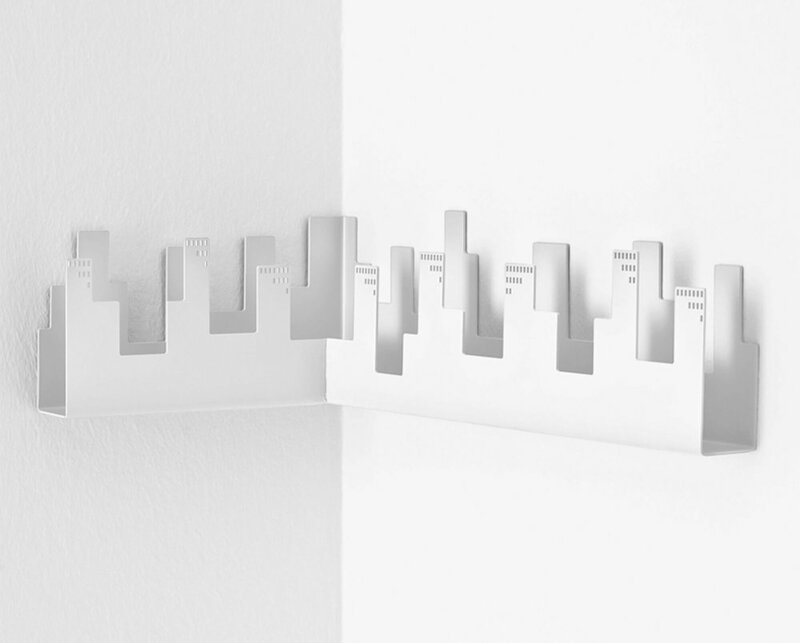 A functional yet playful solution to mundane domestic problems. 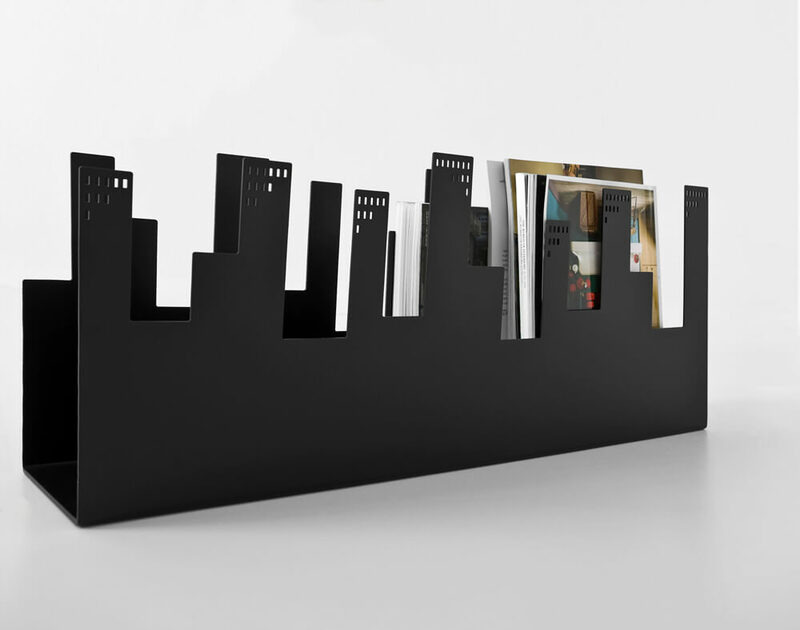 With its oversized stylized skyscrapers, this magazine holder offers another unique, playful perspective on an otherwise everyday object.